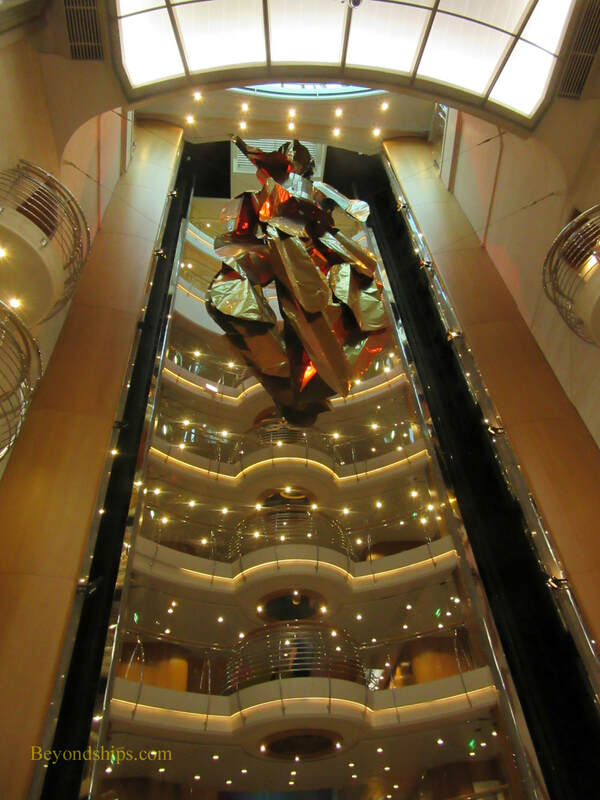 Above: Oriana has a multi-deck high Atrium leading up to a Tiffany-inspired ceiling. ​Below: The base of the Atrium. lifetime. 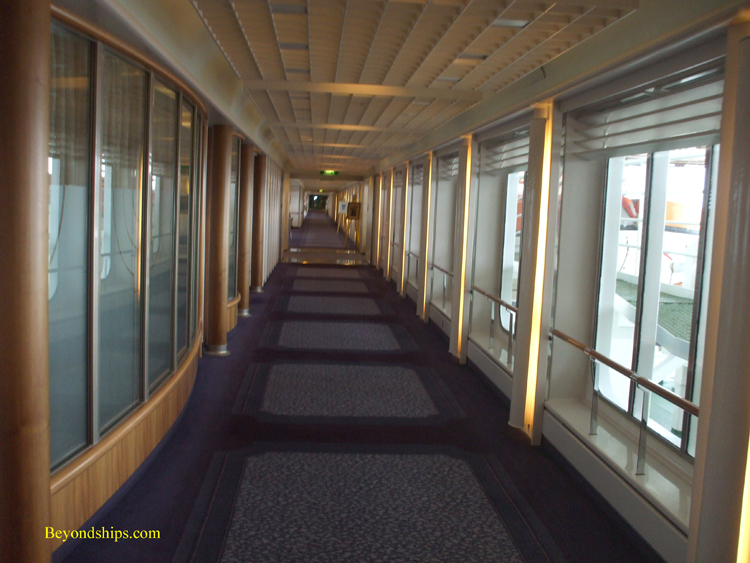 When she was built in the early 1990s, she was the first large passenger ship that had been built for the British market in a considerable time. She was named by Her Majesty Queen Elizabeth II and quickly became quite popular in Britain. While she may not be well-known outside of the market she was built to serve, she is a household name in Britain. called Oriana by her contemporaries. 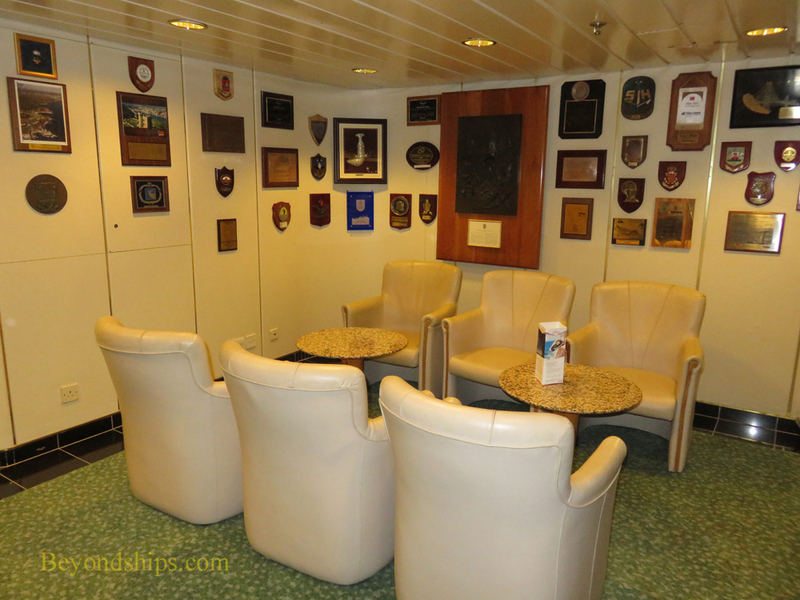 The ship’s interiors are contemporary. Restraint is a watchword with subtle lighting, clean lines and soft muted colours. 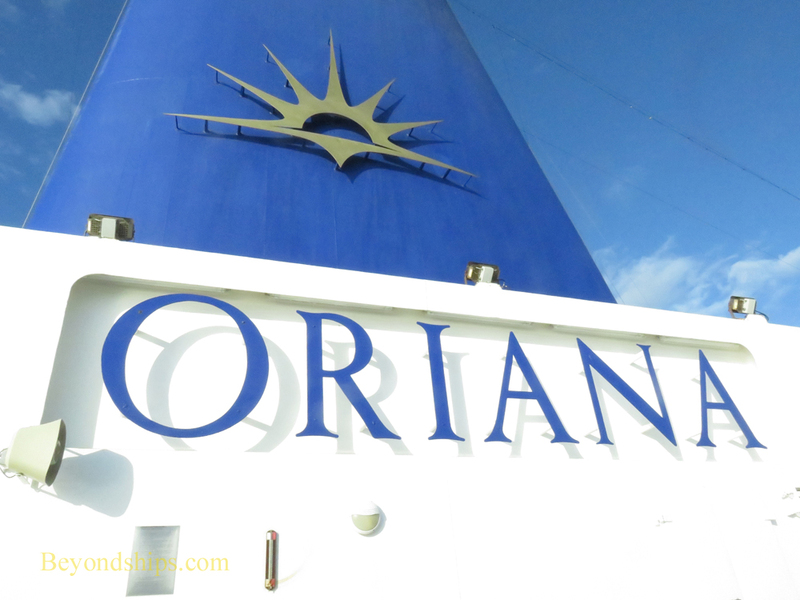 Oriana is free of glitz. Rather, she is elegant and graceful. Vegas for the style of a London gaming club. It is not tourist Britain but rather an environment in which British people would feel at home. Similarly, the dining offerings are geared to British tastes. 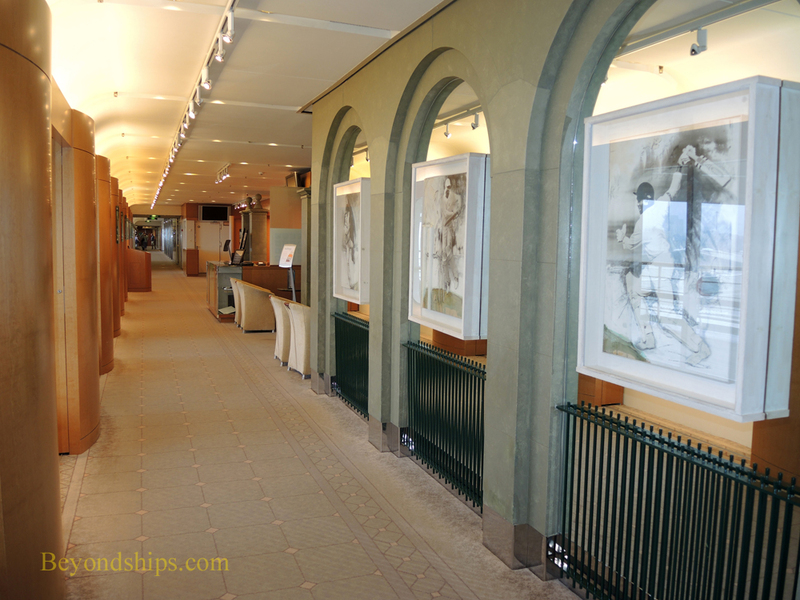 British cuisine is featured both in the main dining rooms and in the ship’s celebrity chef specialty restaurant reflects Britain's love of Indian cuisine. equipped like a West End theater. Thus, it is an enhanced traditional experience. It is also an adult experience. 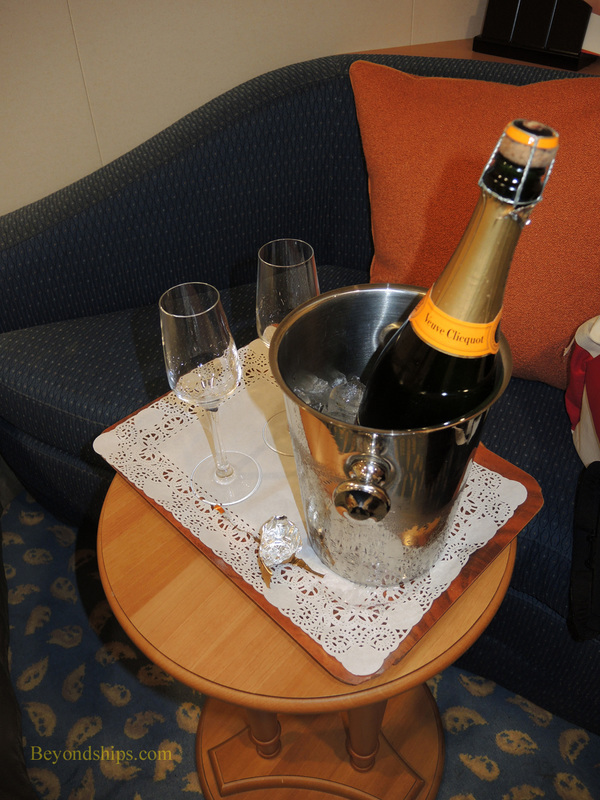 Oriana is an adults-only ship. considered a small to mid-sized ship. As a result, she has a relatively more intimate atmosphere but still has many of the features of large ships. 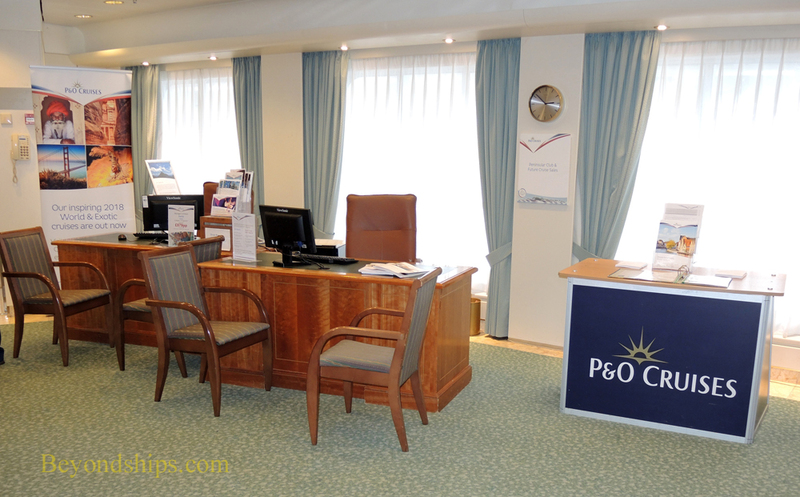 In addition, P&O Cruises has been deploying her on itineraries that include ports where larger ships cannot or do not go. 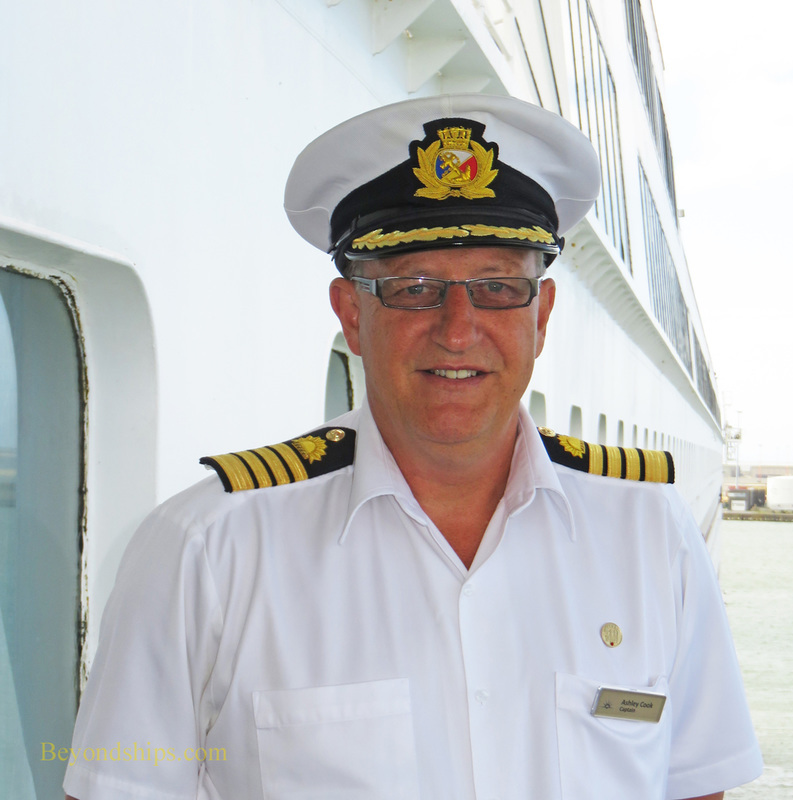 Thus, Oriana is finding a new niche in discovery cruising. 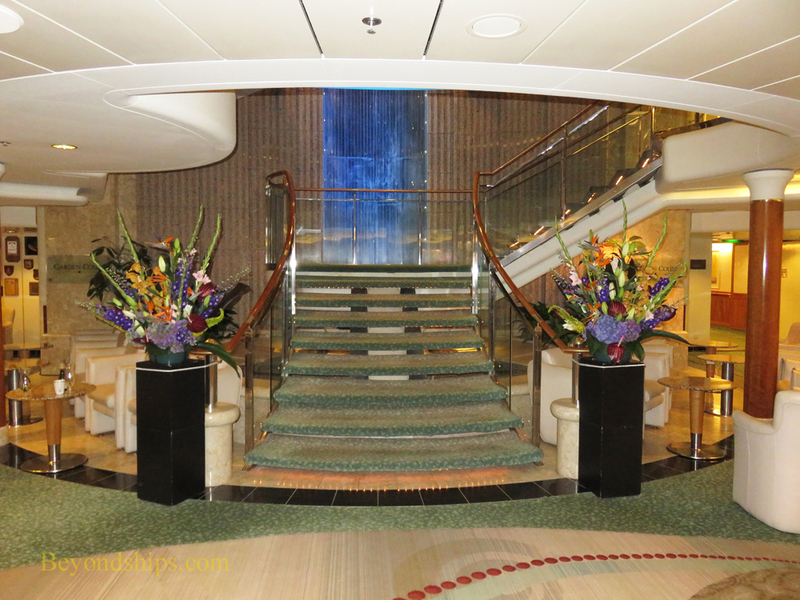 Oriana has a long bow, good for slicing through the waves as well as an above-average service speed. Consequently, she can do long distance cruises including round-trip voyages from Southampton into the Central Mediterranean as well as longer voyages to the Americas and the Caribbean. Above: Some of the plaques that Oriana has accumulated during her career. 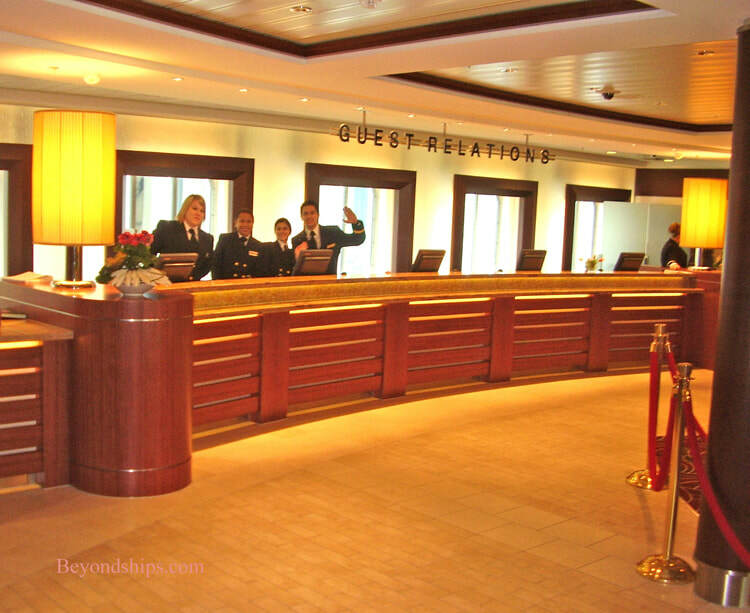 Above left: The Guest Relations Desk in the Atrium. 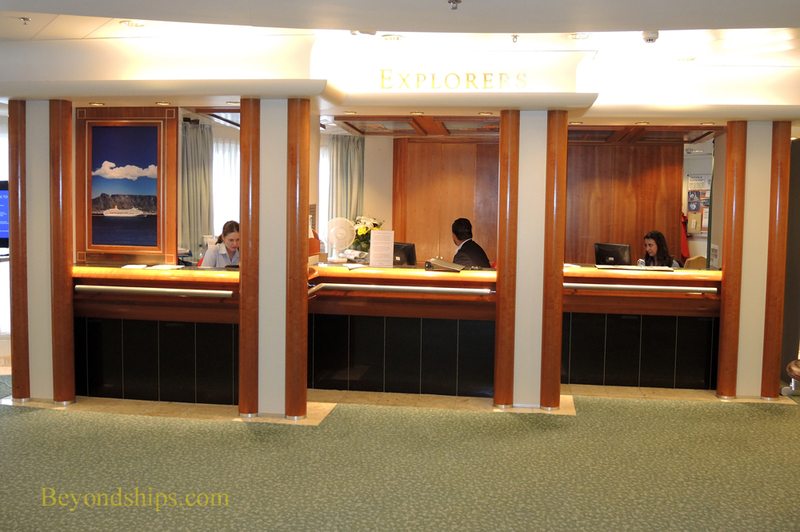 Above right: Explorers, the shore excursions desk is also in the Atrium. Right: The Loyalty & Future Sales Desk.